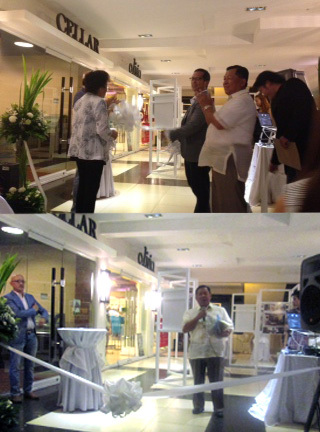 Mr. Donnies T. Alas, Chairman and CEO of Alas Oplas & Co., CPAs honoured testimony on Frasso's Exhibit at Balay Quince, 15th & Lacson St., Bacolod City last July 26, 2013. Exhibit started July 26 - August 4, 2013 with a Multiple Personalities, Homes by Frasso. Different houses has been presented like Asian, Mediterranean, Modern and Contemporary Filipino Houses. They also included House of Memories up to House with Garden and Sweetness Built through the years that add highlight, simplicity and elegance in our culture as a Filipino. "Architecture should speak of its time and place, but years of timeliness." Frank Gehry, Achitect.